• View topic - Mercer fired Bob Hoffman. Re: Mercer fired Bob Hoffman. Don’t really expect Young to go anywhere. His wife is a high level senior executive with PwC in Charlotte. They are apparently very comfortable where they are. I'd bet if a P5 job come knocking, they'd make it work. sudog03 wrote: Me thinks this has as much to do with the player getting killed during a drug deal a few years ago and a couple more getting suspended afterwards than it does W/L record. Things have really not been the same with Mercer Basketball since Jibri Bryan was murdered on 2/2/16 and his Teammates/Starters, Desmond Ringer & Jestin Lewis, were suspended (for, never specified, but obviously related reasons) for the remainder of that season. The Bears were 17-6 (.739) that season before the murder & 2-9 (.182) afterward, both wins coming over a bad CIT Team that lost their last 10 games. So...looking broader, the Bears have been 47-61 (.435) in the 2+ season since Bryan was killed and they were 87-43 (.669) in the 2+ seasons prior to his murder. It's certainly not the only factor driving the precipitous change in direction, but, IMO, it has been a very weighty and dark cloud that has not lifted. This tragedy did not end with Bryan's murder. It is still a 'hot topic' in Macon and was very much in the news as recently as this past summer...and will be again...whenever the slow wheels of justice decide to un-stick themselves. Mercer Basketball and Coach Hoffman will both probably benefit from a fresh start. Being reported Mike Young has interviewed for the VT job. Hope he gets it. The killers of Jibri Bryan took plea deals and were sentenced to about 30 & 15 years in prison - https://www.macon.com/news/local/crime/article226797509.html - So, that, in some senses, wraps up this sad chapter in the history of Mercer Basketball. Mercer hired Purdue’s “Offensive Coordinator” as their new Head Coach - https://mercerbears.com/news/2019/4/3/mens-basketball-mercer-welcomes-greg-gary-as-bears-new-coach.aspx - This hire has been well-received by all but the most ardent of Coach Hoffman’s supporters, who would not have been happy if Mercer had hired a reincarnated version of John Wooden for the job. AP wrote: It's possible. 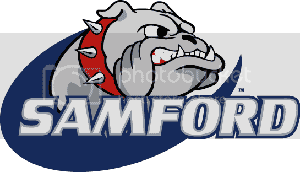 The team Samford put on the floor was better than any of those teams from 2014 on. Not as much individual talent, but a much better team. For next season, player retention and development will take them places recruiting can't. Noticed Sharkey already announced he'd be back, which is a good start. You're (likely) bringing back 4 starters and every bench contributor but Lakic. Add Jalen Dupree into the mix, which gives you another relatively big body. Has anyone heard of any more transfers besides Nolan and Fitzgerald? sudog03 wrote: Don't jinx it.